Record-high customer satisfaction among auto insurance customers is clearly good news for customers, especially at a time when their overall customer experience is being tested by the rising cost of auto insurance. For insurers, on the other hand, record satisfaction is creating new challenges, as customers’ expectations create the need for new standards for service by insurers. Among these challenges is meeting ever-evolving expectations for digital channels and services that provide easy online processes comparable to those offered by Amazon and Uber. An additional challenge is generating premium growth in a market where there are fewer shoppers as a result of customers’ high satisfaction with their present carrier and a stagnant level of new shoppers purchasing auto insurance for the first time. To help insurers with the challenges ahead, the J.D. Power 2018 U.S. Auto Insurance Study examines the drivers of record-high satisfaction with auto insurers and how customer expectations for servicing are changing. One of the primary drivers of higher satisfaction has been greater online access to self-service tools through insurer websites and/or mobile apps. However, while greater access to information and self-service options have been a primary driver of satisfaction, the industry is still searching for its version of mobile check deposits, which has transformed the way customers digitally interact with their banks. The J.D. Power 2018 Insurance Digital Experience Study finds even the leading insurance companies are dramatically behind digital leaders Amazon, Starbucks and Uber, among others, in meeting customers’ expectations for a streamlined digital experience. Record-high satisfaction may seem counterintuitive, given that the industry has been challenged by rising costs and customers have experienced multiple years of rate increases. The U.S. Auto Insurance Study measures customer experiences across multiple factors. While price is a major component of the overall customer experience, billing and payment, policy offerings, and online and offline service interactions combined account for a majority (67 percent) of the experience, all of which improve with digital interaction. As customers’ satisfaction with their auto insurer increases, there is a corresponding decline in the intent to shop for a different insurer. Additionally, there is a measurable relationship between customer satisfaction and actual shopping rates for the following year, which is measured each year in the J.D. Power Insurance Shopping Study. 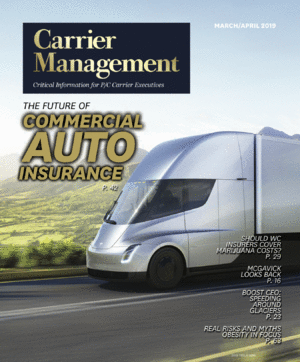 With just 2 percent of new customers entering the personal lines auto insurance market in 2018, most insurers face a zero-sum proposition in which the growth of their company requires taking share from competitors—something that is exponentially more difficult and costly when customer satisfaction and retention are high. As insurers struggle to grow with fewer shoppers and new customers entering in the marketplace, developing a retention strategy based on demonstrating value through customer interactions, outside of price alone, will help their bottom line and potentially lead to an increase in referrals. The U.S. Auto Insurance Study also measures and tracks Key Performance Indicators (KPIs) that have the greatest relationship with customer satisfaction. Providing online access to policy information is the single KPI with the greatest and most consistent improvement during the past seven years. Online access itself is associated with higher customer satisfaction; however, it also indirectly influences customer satisfaction across a variety of factors, from billing and payment to claims. Customers who are highly engaged online are significantly more likely to be aware of other best practices their insurer offers but which have low awareness among offline-only customers—e.g., setting up billing alerts. Further, in the event a customer has a claim, those who had already set up an account online were twice as likely to submit incident photos through the app and receive digital updates without having to call their insurer, and three times more likely to report first notice of loss online (web or app), according to the J.D. Power 2017 Auto Claims Study. Customers increasingly prefer digital self-service channels for a variety of interactions with their auto insurer. The strongest digital preferences are for low-value transactional activities such as making a payment or ordering proof-of-insurance cards. Customers, even those in Gen Y (born 1977-1994), prefer live conversations with a professional when it comes to discussing policy coverage or premium changes. While there is still a long way for insurers to go to catch up to customer expectations set by other industries and leading digital companies, there has been significant improvement in digital insurance channels since 2012 that has outpaced the agent and phone channels. Despite insurers’ progress in digital channel experiences, the demand for robust digital self-service options is a high bar to reach. The J.D. Power 2018 U.S. Insurance Digital Experience Study finds even the leading insurance companies are dramatically behind digital leaders Amazon, Starbucks and Uber, among others. The digital study finds insurers have done a good job of creating an attractive user interface but lack insurance-specific capabilities that create additional ease of doing business for customers. Further, insurers that perform highest in personalization do so by aligning insurance offerings and customer needs, offering benefits tailored to certain risks, and delivering timely guidance—and they also tend to have the highest digital satisfaction scores in the Insurance Digital Experience Study. An example of personalization is Bank of America using artificial intelligence (AI) to personalize the mobile experience with “Erica”—a virtual assistant—within the app to offer tailored financial advice to customers. Erica quickly surpassed one million users within one month of launching the service. While insurance is much more low touch than retail banking, there may be an opportunity to leverage the same technology to inject empathy into the digital claims process—a key pain point among customers submitting digital claims today, as noted in the 2018 U.S. Auto Claims Study. With respect to meeting future customer expectations, the winners and losers will be determined by those insurers that take a quantum leap regarding the customer experience to look at the leaders in specific areas (such as billing and payments, digital, and problem resolution) to identify best practices that could translate across industries. Analyzing those industry leaders, which are often outside the insurance industry due to the low-touch nature of the business, may uncover insights that lead to a competitive advantage within the insurance industry. Insurers can even adapt the best practices that utility companies have developed to use in the event of a power outage for insurance-specific issues such as claims. Insurance customers rarely compare their experience with one insurer to another but rather compare it to the dozens of other companies they do business with. Despite record-high auto insurance customer satisfaction, insurers have an incredible opportunity to raise the bar above current industry leaders by taking an outside-in approach to reinventing customer interactions that simplify the process of doing business. Brand Management & SalesData & ResearchFeaturedPersonal LinesSurveysU.S. Robert M. Lajdziak is a Business Consultant in the Insurance Practice at J.D. Power.